Our friend Kathy Bartholomew was very instrumental in starting this farmers market in Jerome, ID. She has one particular booth “Honor the Hero”, which brings awareness to our fallen heroes, both local and national, including Mark. She told his story with passion each week. A portion of the donations she received this summer, as well as money from a silent auction she recently held — goes directly to The Mark Forester Foundation. In addition to Mark being displayed, there is also Sgt Bowe Bergdahl from Hailey, ID who has been MIA since June 30, 2009. Sgt Dan Brown from Jerome, ID who died March 24, 2012 from an IED attack in Afghanistan. He left two baby twin girls that he had yet to meet. And Pvt Terence “Bo” Jones of Twin Falls, ID who lost both legs and had a badly hurt arm from an explosion in Afghanistan, and is now in rehab. All these men left behind families. Many businesses and individuals donated money and items for the “Honor the Hero” fundraiser. One interesting story Kathy told us was she talked to the manager at Sportsman’s Warehouse and explained what she was doing and who she was honoring. 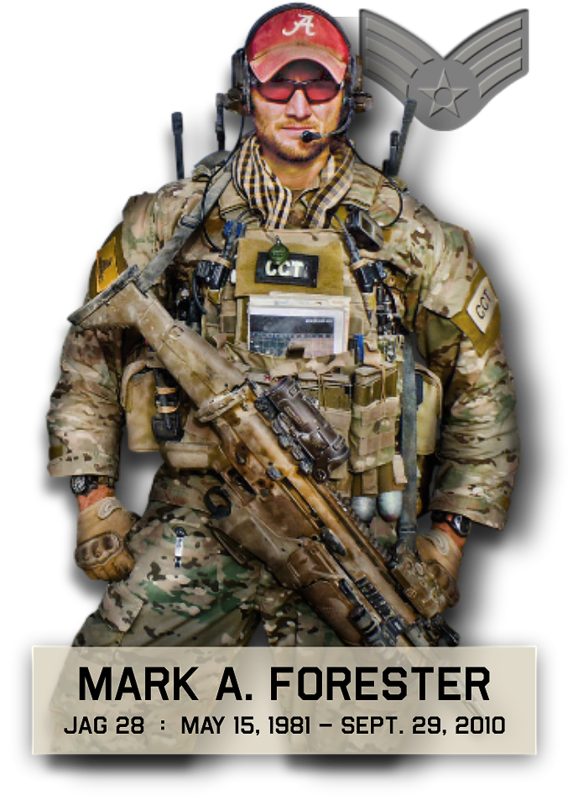 When he heard the name “Mark Forester”, he said, “Did you say Mark Forester?” Turns out he served as a missionary with Mark in Oakland, CA. What a small world. He ended up donating an expensive cooler and a $50 gift certificate. Many people donated multiple times. This is the American Spirit at its best. Thank you Kathy. Thank you city of Jerome. Thank you to the local Boy Scouts who manned the booth. And thank you to the many others who donated time, items, money, and spread the word.